After solving Wordscapes Level 1991, we will continue in this topic with Wordscapes Level 1992, this game was developed by PeopleFun a famous one known in puzzle games for ios and android devices. From Now on, you will have all the hints, cheats and needed answers to complete this puzzle.You will have in this game to find words and place them in the crossword ( it is automatic ). The game is using a well known anagram template. Developper Says : You’ll never experience a dull moment after you try this most addicting word puzzle game! Play this crossword puzzle once and you won’t be able to put it down! -Escape and stimulate your mind by visiting the beautiful destinations of Wordscapes! -Get your word hunt on with over 3,700 puzzles! -Challenge your brain – this word search starts easy and becomes challenging fast! 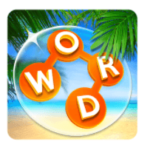 Wordscapes is a perfect fit for fans of popular word games, by combining the best of word search games and crossword puzzles. After achieving this level, you can use the next topic to get the full list of needed words : Wordscapes 1993. I Hope you found the word you searched for.